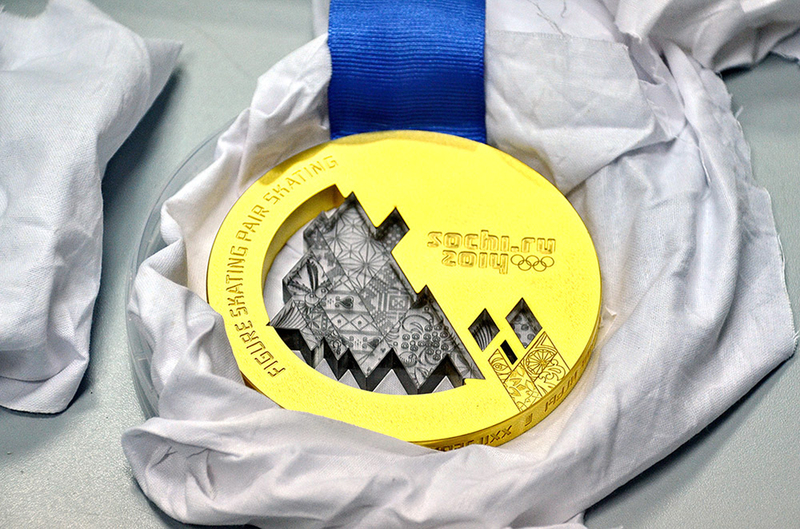 Champion athletes at the recent winter games in Russia can feel confident that their medals will remain pristine for years to come, thanks, in part, to the use of durable polycarbonate (PC) sheet from SABIC’s Innovative Plastics business. These unique medals, a combination of metal and LEXAN MARGARD sheet, were made by skilled craftsmen of the Moscow-based Adamas Jewelry Plant. 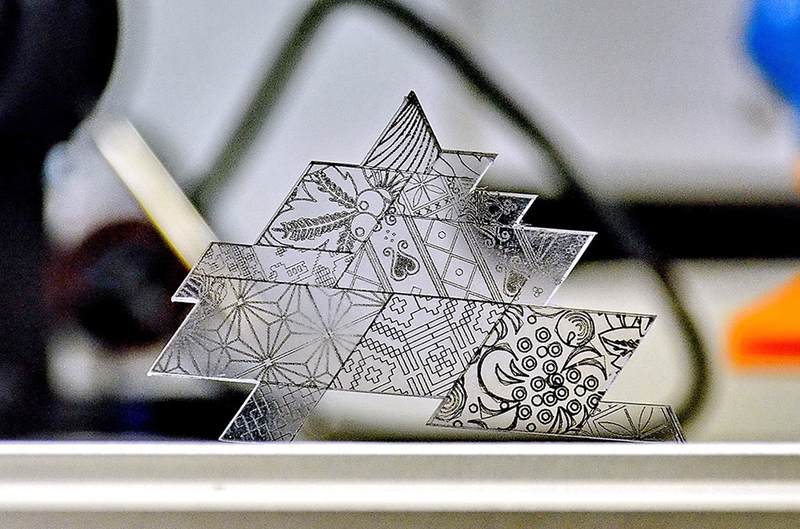 SABIC’s LEXAN MARGARD sheet was used in the core of the medals to design an intricate representation of the landscape of Sochi where the event was held. 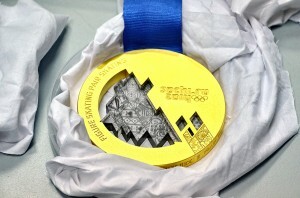 Each medal took up to 18 hours to create, using the latest design and technology processes. The LEXAN MARGARD sheet was cut using a special tool with incoming cold air that reduces deformation, resulting in a crystal-like appearance. Virtually unbreakable, LEXAN MARGARD sheet is 50 percent lighter than glass and it has 250 times the impact resistance of glass and 30 times that of acrylic. The sheet also has has excellent all weather performance characteristics and maintains its transparency over time, ensuring the medals continue to perform long after the athletes have taken the medal stand. A record 1,300 medals were manufactured by the experts at Adamas, the official supplier to this year’s event and Russia’s leading jeweler. Organizers said the design reflects the “eternal values of Russia” and also the “innovative approach to the games”. – SABIC and brands marked with ™ are trademarks of SABIC or its subsidiaries or affiliates. SABIC has announced its unaudited financial results with a net profit of SR 25.23 (US$ 6.73 billion) in 2013. Sales revenues for 2013 totaled SR 189 billion (US$ 50.4 billion). Total assets stood at SR 339 billion (US$ 90.4 billion) at the end of 2013. SABIC’s Innovative Plastics businessis a leading, global supplier of engineering thermoplastics with an 80-year history of breakthrough solutions that solve its customers’ most pressing challenges. Today, Innovative Plastics is a multi-billion-dollar company with operations in more than 35 countries and approximately 9,000 employees worldwide. The company continues to lead the plastics industry with customer collaboration and continued investments in new polymer technologies, global application development, process technologies, and environmentally responsible solutions that serve diverse markets such as Healthcare, Transportation, Automotive, Electrical, Lighting and Consumer Electronics. The company’s extensive product portfolio includes thermoplastic resins, coatings, specialty compounds, film, and sheet. Innovative Plastics (www.sabic-ip.com) is a wholly owned subsidiary of Saudi Basic Industries Corporation (SABIC).